LiteSpeed Blog / Products / LiteSpeed Web ADC / LiteSpeed Powers Most QUIC Sites! 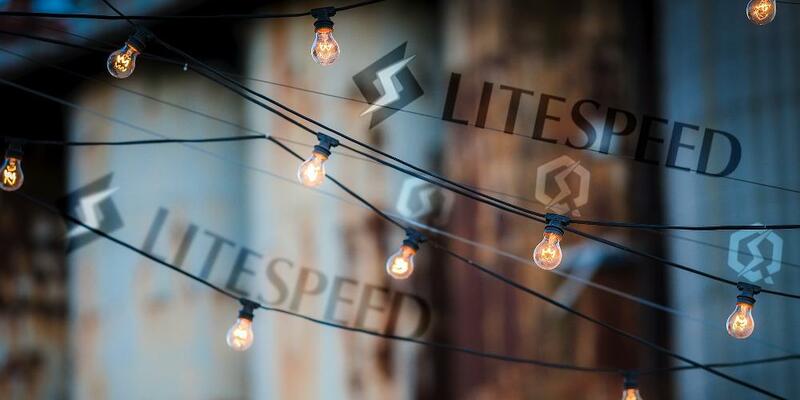 LiteSpeed Powers Most QUIC Sites! Back in July, we announced that we would be supporting the QUIC internet protocol in our web server products. 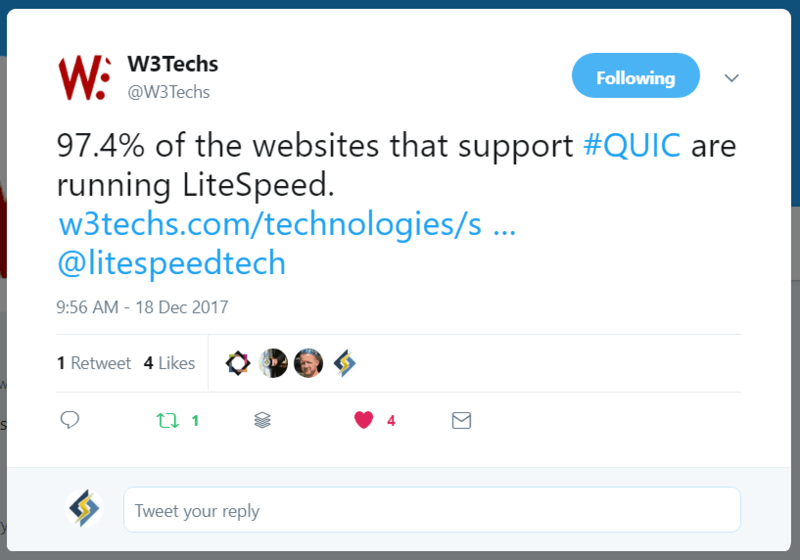 Today, a mere five months later, LiteSpeed powers most QUIC sites: more than 97% of them, to be exact! As of this writing, 0.5% of the web is currently QUIC-enabled, and most of those sites are running a LiteSpeed server! We love seeing statistics like this. It means our energy is well-spent, and our efforts to champion widespread adoption of QUIC so far have not been in vain. We will continue to help QUIC usage climb in 2018! This kind of thing is in our blood. We deliver cutting-edge technologies and work towards seeing them widely adopted. We did it with HTTP/2, and before that, it was SPDY. It’s what we do: Internet. Accelerated. So how can you get in on the QUIC action if you haven’t already? Get yourself a trial license, and Install LiteSpeed Web Server. QUIC will be enabled by default. All you need to do is open UDP port 443. It doesn’t get much easier than that. We’ve been writing a lot about QUIC lately, so be sure to check out some of the other articles here on the blog, if you’d like to know more.